Eyecenter Optometric offers a wide selection of contact lenses including disposable soft contact, bifocal/multifocal, toric, and colored lenses to Citrus Heights, Gold River, Rocklin, and Folsom CA. Whether you wear daily, weekly or monthly disposables, or conventional (vial) lenses, check out our selection of lenses that fit your needs. 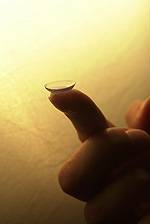 Of course, the importance of caring for your contact lenses properly cannot be understated. Questions regarding how many hours a day is too many to wear your contact lenses, whether your contact lenses can be damaging your eyes and whether you can rub your eyes while wearing contact lenses are all questions to discuss with your local contact lens specialist. Our Citrus Heights, Gold River, Rocklin and Folsom contact lens specialists will teach you how to recognize and implement contact lens best practices and other good habits to do in your home. Whether you are new to contact lenses or have been wearing contacts for years, drop into EYEcenter Optometric to discuss how our contact lens specialists can help you.